Now that the Christmas wreaths are all packed away, you may be thinking that your front door looks a little bare. 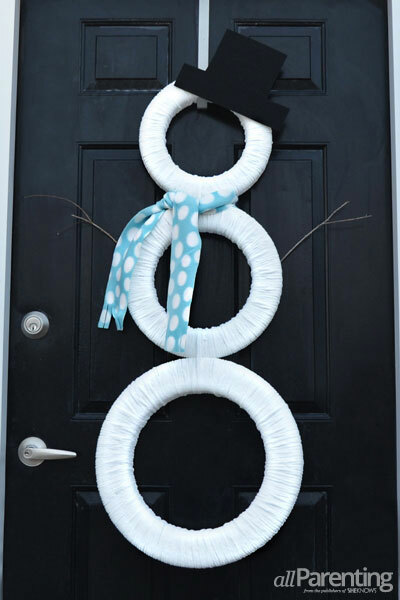 This DIY snowman wreath is the perfect solution, and it's a decoration that you can easily leave up until the arrival of spring. The best part about snowman decor is that it is in season from the first part of December all the way through winter. No need to pack this snowman decoration away after your Christmas decor is back in the attic! 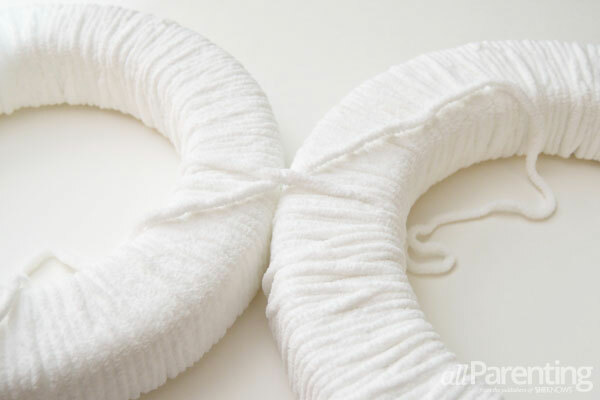 Wrap each of the 3 wreath forms with the white yarn. 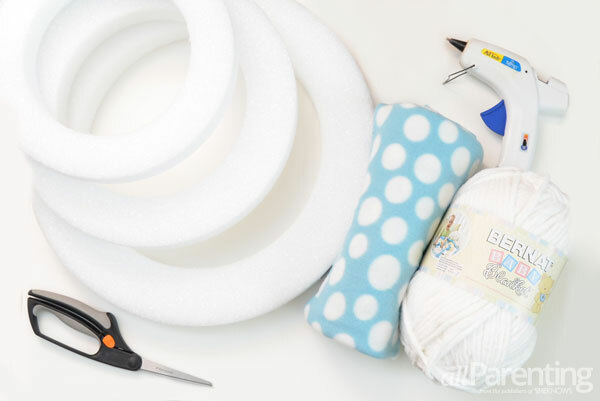 Glue the ends of the yarn in place with hot glue, and glue the yarn every few inches around the wreath to keep the yarn from unraveling while you work. Lay the 3 wreath forms out on a flat surface, with the medium wreath form in the middle. 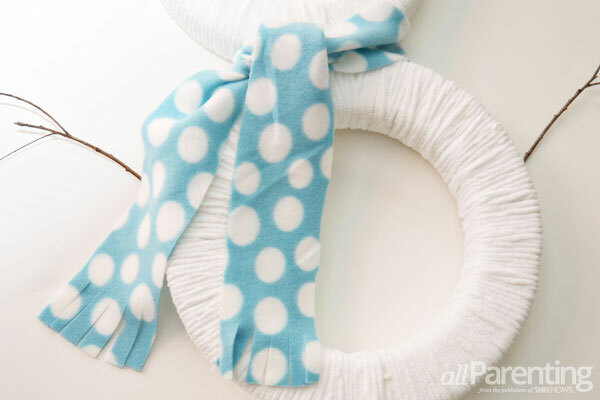 Cut 2 pieces of yarn and use the yarn to tie the small wreath to the medium wreath, and the medium wreath to the large wreath. 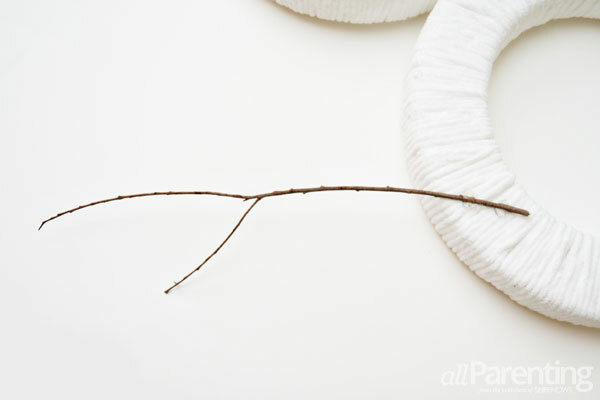 Turn the snowman wreath over, and hot glue 2 twigs to the back of the snowman, 1 on each side. 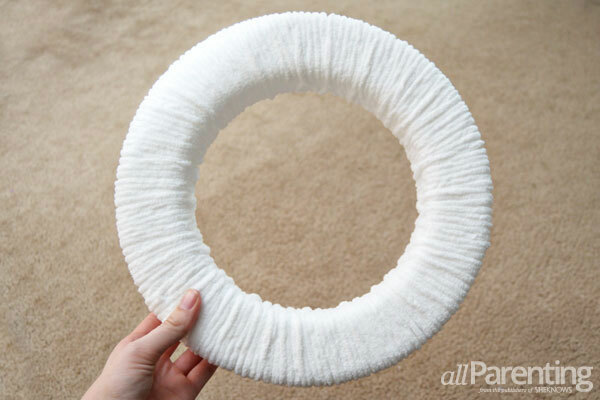 Cut a long, thin piece of fleece fabric. Tie the fabric around the snowman's neck, and cut fringe in both ends of the fleece. 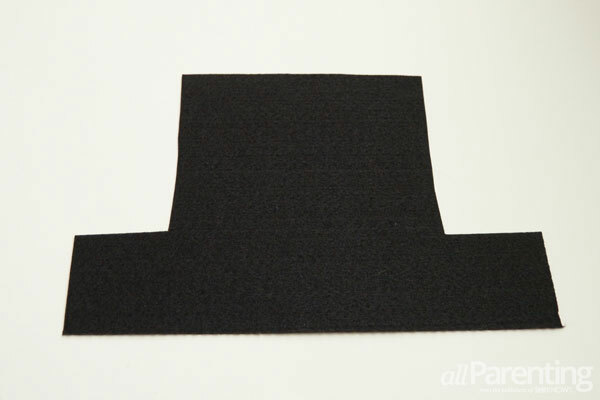 Cut out a top hat from the black rigid felt. 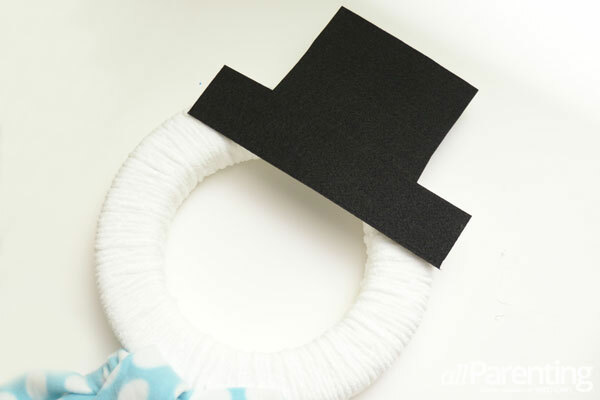 Glue the top hat on the snowman's head with hot glue, and then your snowman wreath is ready to hang!